Everyone deserves special treatment from time to time. There is no better way to secure a treat for yourself and escape from the pressures of daily living than to schedule a visit to a Stillwater Salon. Behind the doors of these retreats is an environment of relaxation and luxury that will allow you to melt into yourself. There are a huge number of treatments available in the top salons that will make you feel revived and bring you back into yourself once more. Find balance and harmony in your life by coming in for any number of beauty or spa treatments. Choose from various spa packages that will allow you to have the VIP treatment. Such packages include facials, manicures, pedicures, and a haircut. Packages are geared towards both men and women as well. You can also expand the possibilities in any relationship by scheduling couples treatments. There are also multiple packages designed around the most special events in life. Bridal events and other once in a lifetime occasions can be met with a new and extraordinary you that are possible through elegant spa treatments of all kinds. The Salons in Stillwater MN offer a unique approach of embracing each person’s individuality as they move forward with your regular treatments. The rejuvenating potential of each treatment will allow you to be creative and explore yourself completely. People find that they develop long-lasting relationships with the people delivering these services that allow them to discover a new sense of health that they have never before known. Once you have discovered the potential that comes with a new haircut and various nail treatments, reinvigorate yourself from a deep place by taking advantage of relaxing facial services that include rejuvenation masks and skin treatments. These services encourage a youthful glow and protect your skin on a daily basis. 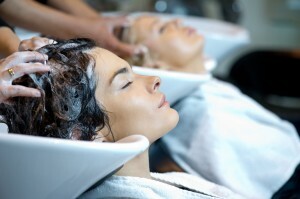 The complete menu of services that draw people into the Salons in Stillwater will nurture every part of your being. The beauty that is at your fingertips goes more than skin deep. Enrich your life in ways that you may have never experienced by trying out one of the many invigorating services that both relax and inspire people of all ages. This entry was posted in Hair Salon Stillwater, Salon Services, Salon-Spa Stillwater on February 20, 2014 by Credo Salon Spa.